We’ve been helping our customers outsource their logistics, distribution and storage needs since 1946. 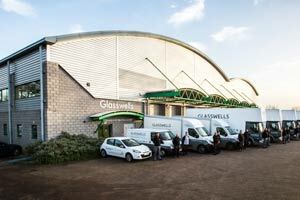 Our 80,000 sq ft state of the art warehouse facility is ideally located in Bury St Edmunds, with close links to major cities such as Cambridge, Peterborough, Ipswich and Norwich. We are also just 50 minutes from the port of Felixstowe. 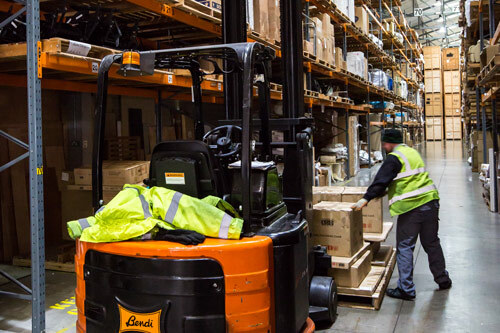 Our experienced, professional teams can handle all aspects of supply chain management, from stock storage, packing and distribution, to container devanning and transportation. Are you able to break my stock down and send items individually? Yes, we also offer fulfilment services where we are able to pick and pack your items. Are you able to deliver my goods to clients? We are able to deliver your goods within a 50 mile radius of our facility. However, if you need goods delivered outside our locality we can arrange for a courier to do this. Yes, we would just require 24 hours notice to have your goods ready for collection. 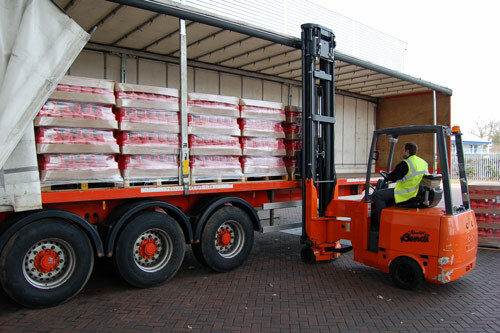 Do you offer emergency lorry unloading? Yes, just contact us and we will be able to help. Can you unload my lorry from the rear? Yes, we have full lorry unloading capabilities- just ask.